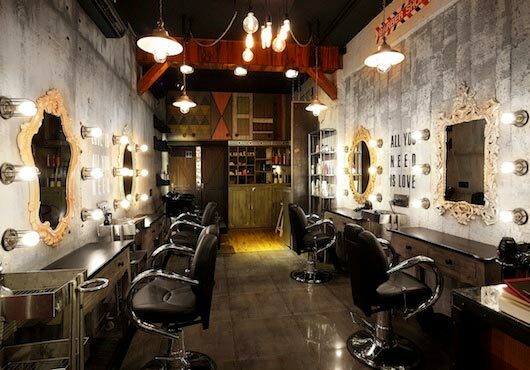 Home » Best Of The Best » Best Hair Salons in Mumbai: Our Top 10! Best Hair Salons in Mumbai: Our Top 10! A bad hair day can ruin anyone’s mood and I’m sure each one of us has had at least 1 bad hair cut. Nothing feels worse than a hair cut gone wrong and spending the next few months growing out your hair can be quite a task. One needs to be very careful while selecting a hairstylist and we highly recommend taking a few pictures for easy reference. Always discuss your lifestyle with the hairstylist and how often can you or cannot heat style your hair before you settle on a cut. Go ahead with it only when you feel the stylist and you are on the same page. It can be quite confusing when it comes to selecting the right hair salon so today we handpick the top 10 best hair salon in Mumbai to make your search easier. 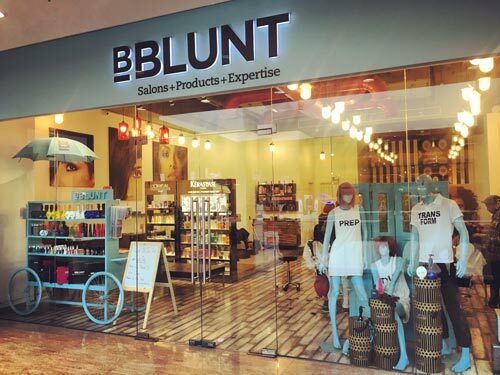 Change your hair game from boring to fabulous with B Blunt. Adhuna Bhabani, the founder of B Blunt has been one of the pioneer hair dressers in Bollywood. The hair stylists at BBLUNT are trained at the BBlunt Academy and mentored by the ace hairdressers in the industry. So, rest assured that your hair would be in the best hands. Apart from great hair cuts, you can even try their amazing hair care products like the Dry Shampoo, Anti Frizz Leave in Cream or Spotlight Hairspray to amp up your hair game. Want a spunky yet chic hairstyle that would turn heads? 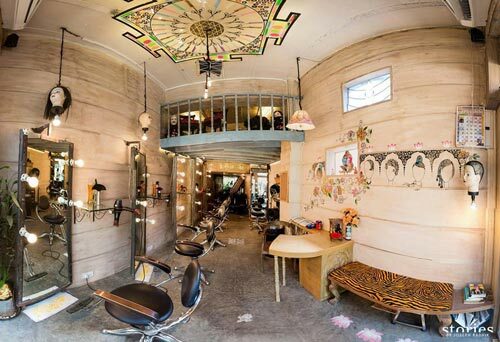 Then we highly recommend Mad O Wot hair salon in Munbai. It is owned by the famous hair stylist, Sapna Bhavnani who has been the stylist for many personalities like MS Dhoni, Katrina Kaif, Bipasha Basu, Priyanka Chopra and many others. The Mad O Wot team is very friendly and is known for their crafty and trendy hair styles. Kromakay is a unisex salon that transforms beauty into art and is possibly the most recommended hair salon of Mumbai. Headed by the famous celebrity hair stylist Kanta Motwani, who first worked as a trainee at Nalini and Yasmin salon and has styled the tresses of many B-town celebs. The salon now has 4 branches across the city. It is famous or its friendly and super efficient stylists. 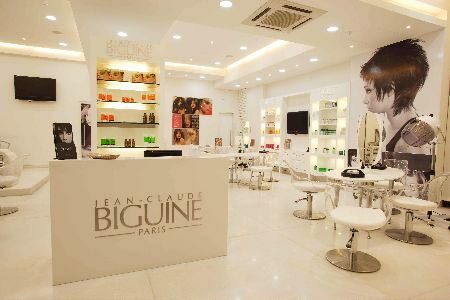 If you are looking for global hair coloring or highlighting your tresses then their Juhu branch is highly recommended. 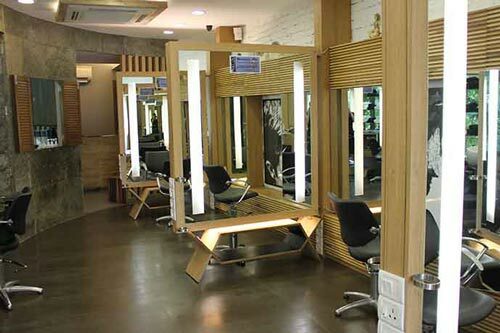 Being one of the top hair salons of Mumbai, Juice is known for their high client satisfaction and edgy hair cuts. From blow drys, haircuts to hair treatments, you are bound to get the best service at a wallet-friendly price. Their stylists are also quite famous for hair color so Juice is the perfect place to try out the latest trends. 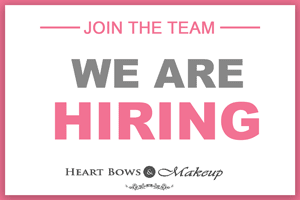 Locations: Kemps Corner, Colaba, Worli, Bandra, Khar. This 5000 sq ft hair salon with French hair stylists trained in Paris and international products that are 90% organic, feels like a Parisian salon in Mumbai. 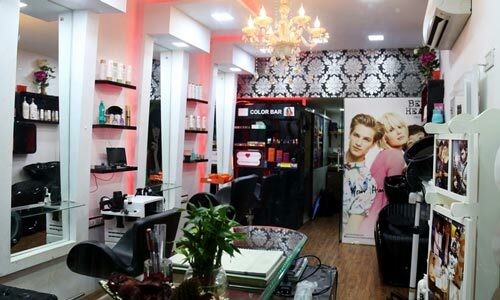 It is a unisex salon with ace hair stylists and a chic ambiance that is sure to impress you. JCB is a renowned brand worldwide that is known to create magic with hair. Besides hair services, they also offer nail care treatments. Savio John Pereira is top celebrity hair stylist and his hair salon is famous its luxury services. Savio is often called the mane man or a ladies man as he is an artist when it comes to styling the hair. The salon offers a wide variety of services that allows you to experiment with different styles on your hair. One visit to this fabulous salon and you will be a transformed person. The famous Nalini and Yasmin hair salon is popular for its top notch work and what sets them apart is their their adherence to precision and technique. Their highly customized services backed by their intensive training and experience has made it one of the best salons in Mumbai. This man needs no introduction and his salons are one of the most coveted chain of salons in India. Jawed Habib’s has many outlets across the city and if you are looking for a hair treatment then you must try the iconic Hair Yoga by Jawed Habib that works on enhancing the hair texture and growth. Also, for those who are in need of stylish haircuts, you must visit the Hair Studio, Hairxpreso and various other outlets. The prices of haircuts and other hair services are very pocket friendly. Awarded the Most Promising Hair Design Salon and Academy in Mumbai, this celebrity hair salon provides the best of hair services ranging from hair cuts, colouring, straightening, smoothening, hair extension etc. Vikas is a creative force in the international education arena and is known for his innovative precision techniques which have been taught to his team as well. These were our top picks as the best hair salons in Mumbai, do share your views and experience if you have tried any of these salons in Mumbai.